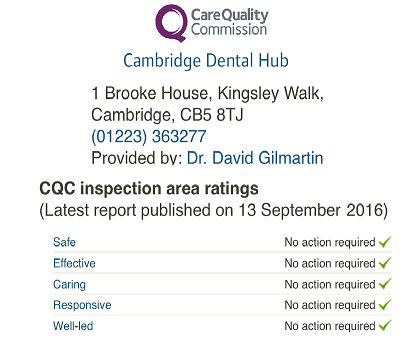 Fees at Emergency Dental Care in Cambridge. We invite patients for a Private and Free Consultation about Finance. Patients pay £25.00 to make the appointment and the £25.00 deposit will then be refunded on arrival for the appointment. We believe in being transparent about costs so we charge £1850 for the implant, including the crown. If there is any additional charge, for example for a bone graft, then that will be billed as a separate item, and included in your treatment plan.